Amazing and unique approach of Japanese people to the seasons is the extreme sensitivity «kisetsukan». There is hardly another nation in the world that pays so much attention to the shift of seasons as Japanese people. From the very beginning this warship was connected with Japanese Shinto religion. The idea of this religion is the nature warship. The shift of the seasons for Japanese people is the eternity of universe. In Japan spring is not only the rebellion of colors but also a special state of mind. In spring everywhere people can admire the flourished sakura’s. In streets and gardens the pink flourished sakuras are extended and raised as clouds. 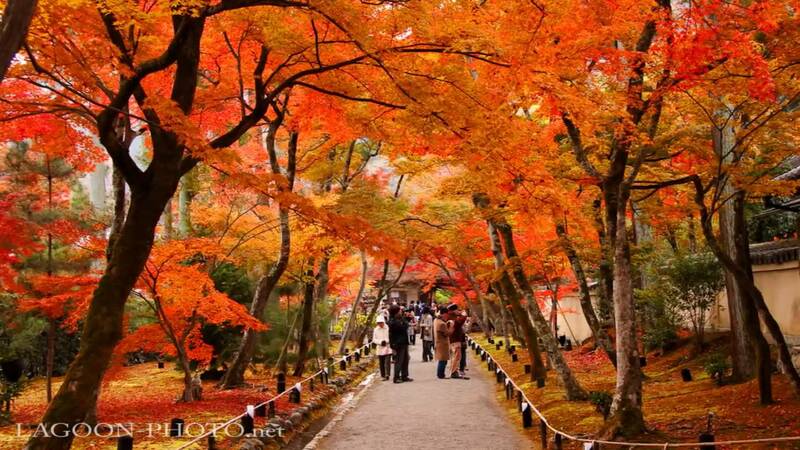 Moreover, the ground becomes a beautiful carpet covered with sakura colorful leaves fallen from trees. Hanami is a tradition of admiring with flowers. With the coming of spring «the pink wave» gradually moves from the south to the north capturing with its beauty and alluring the unity with nature. Summer is the period of traditional festivals and colorful fireworks. At the end of July one of the biggest and the beautiful firework festivals is held in Tokyo, on Sumida river shore. Summer is the period of climbing Fuji Mountain. Summer is the period of blossoming of trees and flowers when the iris, hydrangea and lavender are blossoming. Summer means the sun and sea. Beach lovers will certainly be in Okinawa, in the part of Japanese tropics. Japanese people also like Okinawa and frequently prefer this region for spending their summer holidays. Here they mainly have their marriage ceremonies and honeymoon. In autumn the air becomes cooler day by day. It takes the natives and the tourists far away from scorching hot. It is a period of harvest. The leaves of the trees become yellow and red, the plains and mountains get covered with beautiful golden colors. The admiring tradition of maple red leaves «momiji» is also very popular as the admiring tradition with flourished sakura scenes. In autumn Tokyo celebrates one of the largest festivals of the city «Jidai Matsuri» or Era Festival. In the half of November another traditional festival takes place throughout the country «Siti-go-san». The heroes of this festival are children of 3, 5 and 7 years-old. In autumn it is wonderful to go far away from big noisy cities and have a rest in beautiful nature. A lot of Japanese people and foreigners go to natural warm springs «onsen» and near the traditional «ryokan» hotels. In winter Japan becomes a real snowy fairy tale. Winter is a period when the foreigners are waiting for the unforgettable impressions visiting exotic Japan. Blue winter sky and mild climate: these are the main features of Japanese winter which will certainly make the tourists really happy. Winter in Japan as well as all over the world is famous with Christmas and New Year festivals. Christmas fairs and cheerful initiatives are held throughout the country. However, the winter is a period of both festivals and healthy lifestyle. In this season under the open-air people can enjoy active sport. In mountainous regions of Hokkaido islands as well as in other corners of the country the tourists admire with winter snowy scenes. Here foreigners can go skiing resorts of any level. Moreover, it doesn’t need to be professional skier or snow-bordist. There are wonderful mountains for winter sport lovers. The children can spend wonderful time, too, of course, by riding sleigh or on rubber blown circles. Winter is a period of separation with nature. It is certainly pleasant and healthy: such a bath under the open-air and full of natural warm water and the surrounding snow scenes. These impressions will longer stay in your memories. In winter Fuji Mountain, covered with snow, has a unique beauty. In Okinawa tropical islands cherries blossoming prompts the imminent coming of spring. In winter you can also eat delicious dishes typical to winter season. Every region has its typical dish. Moreover, in winter the whole country is under Christmas red light illustrations. The all famous places are illuminated with newly light illustrations. Accordingly, Japanese cities turn into the real winter fairy tale. Shopping lovers can also have wonderful surprises. On January 2 all supermarkets and mini markets have big Christmas sales throughout the country. It is called «Katsu-uri».